With its unique atmosphere, the festival has marked the arrival of summer and the beginning of the holidays for almost three decades now. It takes place in the historic town centre, with its unique Jewish quarter and exceptional atmosphere, and in other places in its surrounding area. During these four days in July, not only can you take in music of various genres in the outdoor cinema amphitheater, the chateau greenhouse, the synagogue or the manor court, you can also watch theatre performances against the backdrop of Boskovice Castle, the parish garden or in the town’s more intimate indoor spaces, listen to author readings in front of the local antique shop, go to exhibitions, and sometimes even become part of them, go to the cinema, participate in workshops, buy refreshments and other items at festival stands, go cycling or relax in local cafés, pubs, forests, or at the outdoor swimming pool. Children are also well looked after at the festival, with the majority of workshops aimed at them. The festival location and its openness play a crucial role in the unmissable, unforgettable atmosphere, appreciated by several thousand visitors every year. 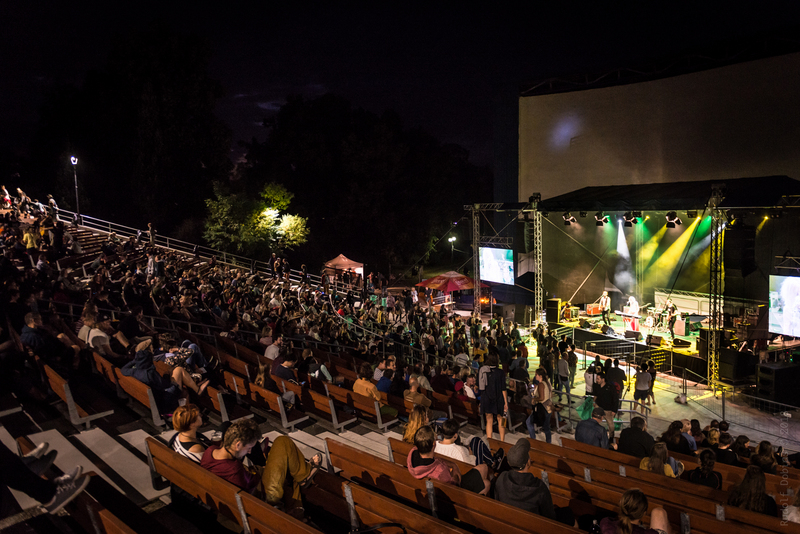 Volunteers from all over the Czech Republic come together year after year to help create and work at the festival, and they deserve a huge thank you for making it a great success. We will try not to forget (the past), to think about and discuss (the state of the society), not to waste (anything), not to burden (mainly nature) while at the same time, enjoying our summer at the festival, with its fantastic programme featuring music and much more, in the beauty of our surroundings.